I remembered this idea that I wrote about last summer, but I thought it might be “timely” to share it again. You can adapt "The Very Hungry Caterpillar" to the "Very Eager Kindergartener/Preschooler/etc." Think about a song you have taught your class each month this year and write it on a poster. Continue adding one new song each month and you’ll be all set to “perform” at the end of the year. Thumbs in the thumb place. (Hold up palms and stick out thumbs. Cut pairs of mittens out of different colors of construction paper, felt, or fun foam. Use the mittens to play a matching game. Hide one of each mitten in the room as the children hide their eyes. Pass out the other mittens to the children and have them “meow” as they hunt around the room for the matching mitten. *You can create other matching games using mittens. Write upper and lowercase letters on mittens; numerals and number words; antonyms; pictures and sounds, and other skills you are focusing on. Children clothespin the matching pairs together. I made this mitten match game for my grandson years ago. I was using them to teach my granddaughter colors on my last visit when my grandson said, “Can you hide those for me to find?” I think of all the toys that have gone by the wayside over the past four years, but those little mittens have not been lost. In fact, my daughter said there were four first grade boys at her house the other day getting out of control. She got out the mitten game and they played it for over an hour!!! Seriously! The Mario race track lasted 30 minutes and those simple little mittens entertained them for an hour and a half. Once again proving that plain vanilla is the best “flavor” for children! I have two new special friends that you all know. Are my new blogger friends you know! I am like a little girl with a new toy called “my blog.” It’s so much fun to share ideas every day with you, but I am a dinosaur when it comes to technology. Fortunately, there are two extremely talented and generous techies out there who are holding my hand. Special thanks to Vanessa Levin of pre-kpages.com for being so patient and knowledgeable. She’s my “go to” for any technical advice. 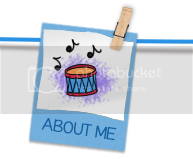 And Karen at prekinders.com has just created a blog button for me. Isn’t it adorable? I get by with a little help from my friends. We all do! We hold hands and stick together! Great teachers are made by the teacher next door. And great bloggers are made by friends like Vanessa and Karen! Note! You can now sign up by email to receive an idea every day! 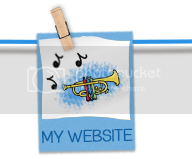 Just look at the top of my sidebar and fill in your email address. According to researchers, this is the “most depressing” time of year. The dreary weather, holiday bills, and forgotten resolutions contribute to gloomy days for children and adults alike. We all have bad days (even in Australia), but we can add a little sunshine with favorite songs and stories. One teacher said that when she had a bad day they ended by singing “May There Always Be Sunshine.” The children stood in a circle and held hands as they sang. May there always be children. May there always be you. May there always be stories. May there always be music. Another idea is to end your day with a “car wash.” Children form two lines facing each other. Children hold up palms and move them in a circular direction. One child at a time walks between the two lines (car wash) as friends gently touch them and say something positive about them. After children have had a turn they become part of the car wash. This idea was included in my January website on “Vocabulary Vitamins,” but in case you missed it, I think it would be a delightful way to perk up a dreary winter day. need enough cards for the number of students in your class. We like you because you’re special word. 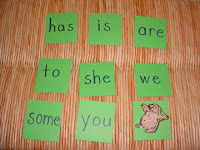 Pin the word to the child and call them by that word all day. Here’s another long forgotten book that I found recently. First, cut out a large fish shape and give one to each child. 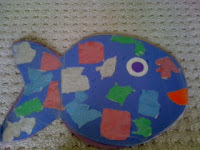 After reading RAINBOW FISH, invite children to draw a picture of how they can be a good friend. (Let them dictate or write sentences to go with their illustrations.) Make a cover for your book from construction paper. Each child gets a Hershey’s kiss after sharing their pictures. Next, let them smooth out the wrappers and then glue them to the cover of the book. Taaaa daaaa! 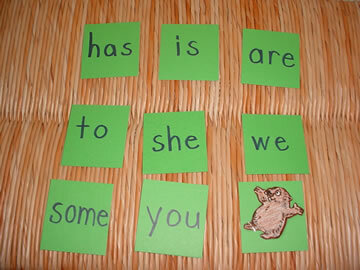 Be sure and visit groundhog.org for some great ideas for your lesson plans next week. You'll be amazed at all the resources, cutouts, games, etc. Download this book at drjean.org/monthly activities/February, 2007. 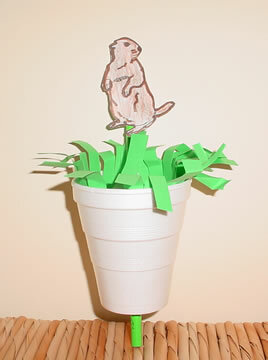 Cup Puppet – Let children draw a groundhog or download an image off the internet. Staple to a straw. Punch a hole in the bottom of a paper cup and insert the straw in the cup. Raise and lower the groundhog as appropriate in the song. Draw shadows at 10, 12, and 2 and compare. Where’s the Groundhog? – Cut twenty 4” squares out of heavy paper. Write high frequency words, math facts, letters, etc. on the cards. Glue a picture of a groundhog on one square. Have the children sit on the floor in a circle. Mix up the cards and place them face up on the floor. Identify the word (etc.) on each card as you place it down on the floor. Tell the children to turn around. Hide the groundhog under one of the squares. Children turn back around and try and guess where the groundhog is hiding. One at a time children call out a word and then “peek” to see if the groundhog is under it. The first child to find the groundhog gets to have a turn hiding it. The game continues as children hide the groundhog and then try to discover his whereabouts. Yeah! The Early Childhood Summit that will be at the College of Charleston this summer now has all the details up on their website ecsummit.cofc.edu. Oh, my! This will be the one conference you won't want to miss!!! Take a look at all of the presenters and the sessions that will be offered. Talk about an amazing opportunity to learn, grow, and connect! Besides, you'll get to visit MY CITY! I know a lot of teachers are writing grants so they can attend. Get busy because space is limited! DR. JEAN, DR. JEAN, WHO DO YOU SEE? Over ten years ago I did a workshop in Commerce, Texas. Much to my surprise, that was the home of Bill Martin! He was suffering from Parkinson’s disease at the time, but graciously invited me to visit his home on “Brown Bear Lane” at lunch. I was speechless to be in his presence. What a beautiful spirit he had! As I was cleaning out a closet this week I came across a book I made after my visit. It was a take off on his “Brown bear, brown bear…” chant. This book is probably only special to me, but I thought it was an idea that you might be able to adapt to a classroom field trip, guest speaker, or other experience. *Put the clothespins in alphabetical order. *Put the clothespins in numerical order. *Use the clothespins for place value. Black doesn’t show the dirt. Black doesn’t show the wrinkles. Black makes you look thinner. There is only one shade of black and it’s easy to match. Black is easy to accessorize…black purse, black shoes, black sweater, etc. You can dress black up and down with a colorful scarf or necklace. Black isn’t trendy like some colors. Nobody will know if you bought black three years ago or this year. Black works for all four seasons. Johnny Cash, one of my favorite singers, always wore black. I look good in black. (At least I feel I do.) When I go shopping I tell myself, “No more black!” However, black just seems to call my name and wants to come home with me! -Black is less distracting to your students. -Black is calming and stead fast. -Black is almost always professional. Do you know about this stuff? It’s AWESOME! It’s so much easier to use than a glue gun, and it’s ten times more effective. You can get E 6000 at Walmart or most hobby stores. I just made some pointers that will endure being thrown around in my suitcase. *The jewel is for finding “sparkle words” (aka vocabulary words). *The fake fingernail is for pointing to the top of the page, the author, the title, the copyright date, etc. *The goggly eye is for spying details in illustrations or for “I Spy” books. Heads up! Don’t’ use this around children or in a small space. Senses are like pathways to the brain. The more senses you activate, the more likely the message will get to the brain and stay in the brain. If you’ve been to my workshops, you’ll remember the Cone of Experience. (People remember 10% of what they read; 20% of what they hear; 30% of what they see; 50% of what they see and hear; 70% of what they say or write; 90% of what they do.) This model was developed by Edgar Dale in the 1960’s. Although it is not researched based, it certainly makes a lot of sense when we think about planning instruction in the classroom. The brain responds to new and interesting things. Children need challenges (attainable) to keep them motivated. Repetition strengthens connections in the brain. Games, partner projects, and technology can provide interesting repetition. Use pair sharing, self-check games, and group activities. Expose students to skills and content you will be focusing on. Introduce vocabulary ahead of time. 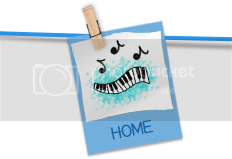 Preview new themes with a video, field trip, story, etc. *Give them time to discover and learn on their own. *Choose high touch toys over battery operated toys. *Talk to them and answer their questions. *Limit television and computer time. *Encourage outdoor time and exercise. *Make sure your child gets plenty of sleep. Lighting - bright lighting is important. Natural lighting is the best. Noise - reduce external noise as much as possible. Color – use light blue and yellow for the walls. Highlight information with brighter colors. Avoid clutter and use walls for information and affirmation. Schedule, routines, rituals – set the stage for learning. Create a warm, accepting classroom environment. Model respect and expect students to do the same for classmates. Give children opportunities to vent emotions. Prompt and prime children to learn. To reward or not to reward? 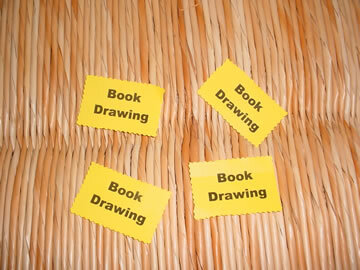 Human brains are designed to enjoy and remember rewards. Teach children to make good food choices and eat a well-balanced diet. Green leafy vegetables, salmon, nuts lean meats, and fresh fruits and vegetables are particularly good for the brain. Encourage nutritional snacks (carrots, raisins, yogurt, nuts, fruit, veggie sticks, popcorn). Use blank books, graphic organizers, art, drama, technology, and other open-ended activities to meet individual learning styles and strengths. Remember! Every child’s brain is unique and different! As teachers, we really are brain engineers, and we need to know as much as we can about the brain. Eric Jensen has always been my “go to” source for brain research. I read TEACHING WITH THE BRAIN IN MIND over ten years ago, but I recently reread the second edition and was struck by the “dissonance” (loved how this word was used in the book) between research and practice. Research on children’s brains continually emphasizes the importance of movement, multi-sensory experiences, emotions, environmental factors, language, etc. in learning. Classroom practice is a far cry from what we SHOULD be doing and what we know is BEST for children! In K-2 classrooms children can handle 5-8 minutes of direct instruction. Change your voice, change location, use a prop, divide children into small groups, use choral response, etc. Use movement to activate attention. Stand, go for a walk, stretch, dance, march, or sing. Balance active learning with passive learning. Movement can strengthen learning, improve memory, and enhance motivation and morale. Movement can also enhance social skills and reduce stress. Play is good for us and for our brains! Singing is an engaging and convenient way to learn. Music acts as a place holder in the brain and is good for repetition. Children need to talk as they learn and they need to talk about what they have learned. DEATH IS SILENT. LEARNING IS NOISY! Invite children to discuss what they have learned and recall information with a partner. Encourage parents to talk to their child daily about school events and what they are learning. Ask open-ended questions and give children time to think. Crossing the midline helps blood flow to both hemispheres. *Simple Tap - Touch right hand to left knee and left hand to right knee. *Bend and Stretch - Lift left knee and touch with right elbow. Lift right knee and touch with left elbow. *Backwards Touch - Lift left foot behind you and stretch back with right hand and touch. Reverse for the right foot and left hand. *Nose and Ears – Touch right ear with left hand and place right hand on your nose. Touch left ear with right hand and place left hand on your nose. *Disco Dance – Put right index finger in the air and point to the left. Bring right index finger down by your side. Place left index finger in the air and point to the right. Then bring down by your side. *Crazy Eights – Make the figure eight in front of you with your right hand and then your left hand. Make “lazy” eights by making eight laying down with your right hand. Make lazy eights with your left hand. Clasp your right and left hand and make large lazy eights. Lean over and pretend to draw an imaginary “lazy” eight on the floor with your right hand and then your left hand. *Brain Hug – Stretch out arms, cross right over left, clasp fingers, bring down and toward your chest and squeeze your arms. Children need time to digest new information and reflect on what they have learned. Just call the rest period after lunch “brain growth” time. 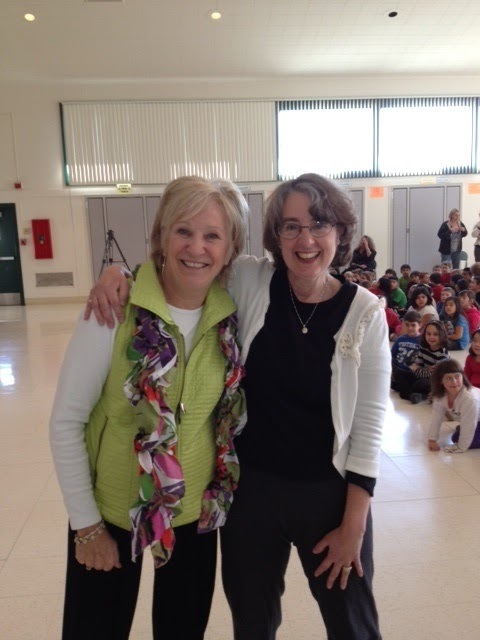 I was fortunate to be invited to the California Kindergarten Conference last weekend in Santa Clara, and it was like a revival!!! I think we all left feeling reaffirmed and inspired to create “kinder” gardens where children can grow and learn in happy, meaningful, age appropriate ways. 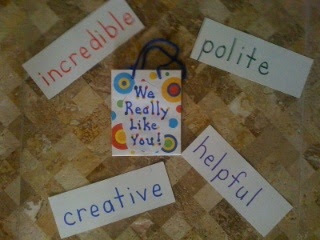 Teachers motivate me with their passion, enthusiasm, and new ideas! I was reminded of a song I learned when I was a Brownie. “Make new friends, but keep the old. One is silver and the other gold.” Technology is the new friend, but we must hold on to our old friends (play, centers, games, music, stories, finger plays, nursery rhymes) as well! One teacher repeated a comment he had heard from a (very wise) administrator: “We might be winning battles, but we are losing the war.” WOW! Test scores might be improving, but what about children’s love of learning? What about creativity and problem solving? What about social skills and learning to care for others? I was visiting with one teacher and he explained that teaching kindergarten was like bubblegum. You have to give children real, concrete, hands-on experiences so that what they learn will STICK! Transitional kindergarten where we work and play. Transitional kindergarten, hip, hip, hip, hooray! Transitional kindergarten, celebrate the day. There was a lot of buzz about the internet, websites, blogs, and the big, new WWW frontier. I’m sure everyone who reads my blog has already leaped into the WWW and is familiar with pinterest and the pinboard. Did you know there’s a free pinterest app? Another good alphabet site someone suggested was abcya.com. It was fun to put blogs and faces together when we met one afternoon. 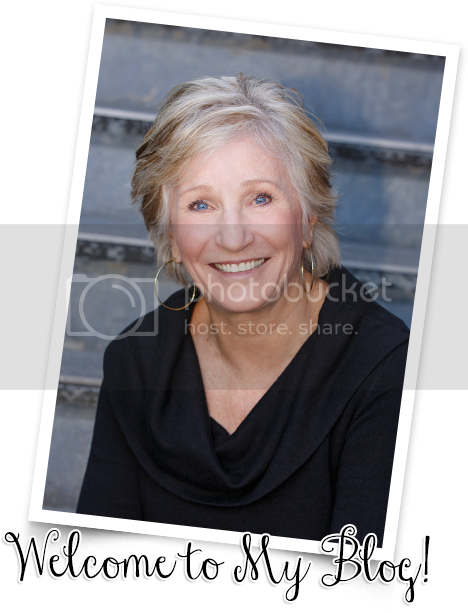 Here’s Camille Johnson from http://camillesopendoor.blogspot.com/. When I presented my “Totally Math” workshop in CA last week I showed these visuals to use with some of my finger plays. A teacher requested that I share these on my blog. Cut hotdogs out of paper and glue them to spring clothespins. Draw a pan similar to the one shown on a file folder and make a slit along the middle of the pan. Attach the hotdogs and remove one at a time as you say the rhyme. When the pan goes “Bam!” close the file folder. *Glue paper monkeys (I found my on google images) to clothespins. Decorate a pocket folder to look like a bed. Remove one monkey at a time as you say the rhyme. 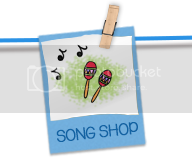 You could use photo clothespins for lots of other songs, transition activities, graphing, etc. Here’s a simple solution for when children shove to get in line – and they can learn something. You will need a Pringle’s can and poker chips. Cut a slit in the lid of the can. Write numerals 1-25 (or the number of students in your room) on the chips. Place the chips in the can, shake them up (love the sound!) and then pass the can around to each child. The child who selects “1” takes the can and lines up at the door. The other children line up in numerical order as they place their chips in the can. Hint! Write odd numbers on white chips and even numbers on red chips. Write number words on the back. Have children think of a math fact that equals their number. My husband and I went for a walk on the beach today. He started picking up trash, and soon I joined in. I think we both enjoyed our walk because we did something positive to appreciate our environment. We can’t pick up all the trash on every beach in the world, but we can pick up a little. We can’t solve all the problems in the world, but we can make life a little sweeter for one child at a time. Maybe a cheer or a song or a story or a pat on the back will make a child in your room smile today! Never give up on the power of one! Stay Up Coupon – Instead of rewarding children with a sticker or treat, give them a coupon that says, “YOU GET TO STAY UP 15 EXTRA MINUTES AND READ TO YOUR PARENT.” Talk about a win/win! Hint! 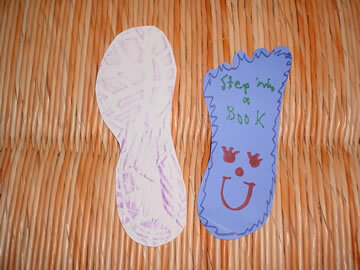 You could also let children do rubbings of the soles of their shoes and use these as bookmarks. Read, Write, Share - Franki Reppond, a teacher in Stafford, TX, shared this great idea that she does with her pre-K students. 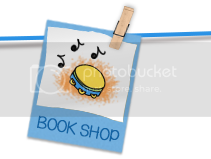 Each month she picks a book and reads it several ways (on-line story, book, magnetic story board, re-tell, etc.) Franki reads the book at least 3 times during the week so the students are able to retell the story as a whole group. Then the children choose a character in the book and write a letter to that character. They brainstorm what they want to say and she integrates concepts about print as she models writing the letter. A second grade class responds to the letter and sends it back to her pre-K class. The Old Lady and the Gingerbread Man are examples of some of the characters they have written to. Cut giant letters out of heavy paper or poster board and let children decorate them with glitter, stickers, fake jewels, etc. Punch a hole in each letter and tie on a piece of string so it an be worn around the neck. Children can wear these when you sing alphabet songs and then break dance when the letter that they are wearing comes up in the song. Hint! You could let children decorate the letter that their name begins with or just let everyone in the class choose a different letter. 11, 12, 13, 14, 15, 16, 17, 18, 19, 20 (clap clap) That is two tens. Activities: Skip count using the Macarena. Counting by 2’s, 5’s, 10’s, etc. will help children with multiplication. Do expanded notation with the body movements. Clap the ones, stomp the tens, and snap the hundreds. Can children count backwards from 100?? 100 Exercise – Do ten sets of the following exercises: toe touches, jumping jacks, arm circles, hops (on one foot), waist twists, squats, scissor jumps, hops (on the other foot), jog (in place), windmills. $100 Book – Enlarge the front and back of a $100 bill on the copy machine. (See drjean.org January, 2007 for a pattern.) Cut paper and staple inside. Children make a book about what they would do with $100. 100 Art – Cut a “1” and two “0’s” out of construction paper. Children glue them on a sheet of paper to create a “critter.” They can decorate it with crayons, markers, or paint. We’ve worked and played 100 days. Zero is our Hero today. Now let’s all count to celebrate! Cover Up – Make 2 copies of a 100 grid. Cut up one set and put the numbers in a zip bag. Children can play this game by themselves or with a partner. Give them a 3 minute timer and challenge them to cover up as many spaces as they can in the time limit. Have them record the amount and try to beat their score each time they play. Hint! Adapt this game for younger children by giving them a grid with 10 or 25 spaces. *You can download the grid at drjean.org - January, 2007, monthly activities. When I’m 100 – You’ll have to have a sense of humor to do this art project. Give each child a brown paper towel and tell them to wad it up so it’s all wrinkled. Now, ask them to draw what they think they’ll look like when they are 100. 100 Bottles – Have each child take an empty plastic water bottle and fill it with 100 items. Some of you will be celebrating 100 days of school very soon. Many of you won’t get there until next month, so you can just tuck these ideas away until then. I love to do numbers every 10th day. When we make sets of ten we’ll stomp the ground. And when we reach 100, we’ll sit back down! 1, 2, 3, 4, 5, 6, 7, 8, 9, 10 (Stomp!). Three tens, you’re catching on. Four tens, you’re doing fine. Five tens, you’re half way there. Six tens, you’re on a roll. Seven tens, what a cool game. Eight tens, you’re doing great. Nine tens, we’re near the end. Ten tens is 100, now it’s time to sit down! Activities: Stand like a super hero with feet out and hands on hips. Point to numbers on a chart or hold up fingers as you sing. Children can make their own Zero the Hero with a sheet of heavy duty aluminum foil. (They’ll need some assistance so work with a small group at a time.) Make two tears from the top about 1/3 of the way down. Make one tear from the bottom as shown. Squeeze the top side sections to create arms. The center section can be molded into a head. The bottom strips can be molded into legs. Make a cape for your hero from paper or fabric. *Let children write or tell stories about what they would do if they were Zero the Hero.